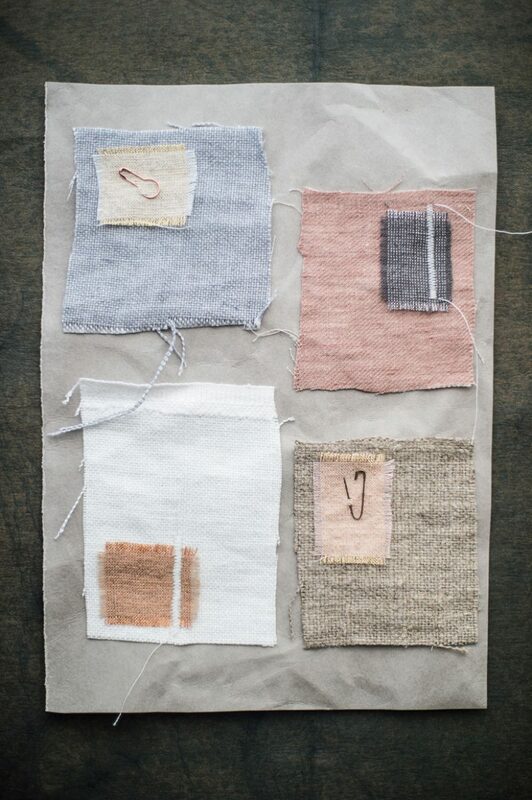 The perfect present for somebody who appreciates beautiful linen. Simply hemmed with a turned out loop in contrasting linen. 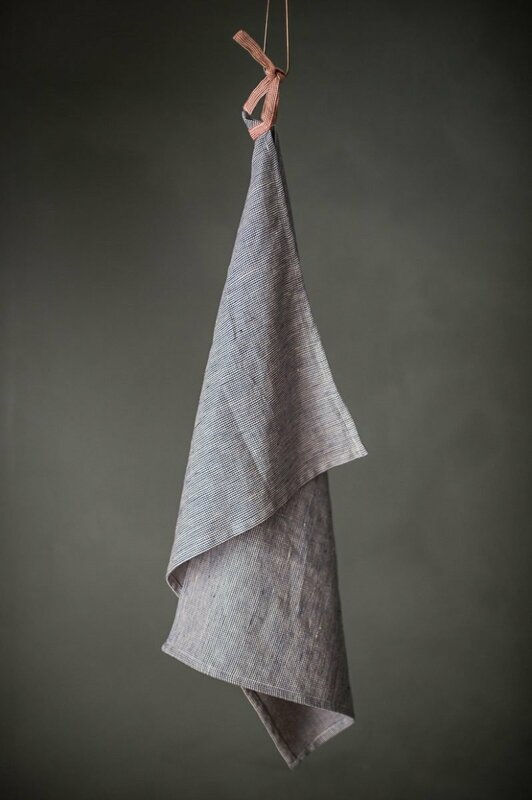 We used about 40cm’s of our Frontier blue linen, and you’ll be able to get two tea towels out of the width. Linen is extra absorbent, long lasting and won’t scratch your finest glasses. Equally pleasing hanging up on the oven door or for wrapping up freshly baked bread for the table. The Tea Towel in the main picture is made from Frontier Blue linen/cotton with Frontier Red linen/cotton for the tie. Polar Grey Heavy and Gold Luxe, Powder and Lapin Luxe, Milk Heavy and Copper Luxe, Raw Linen Softened and Rose Luxe.